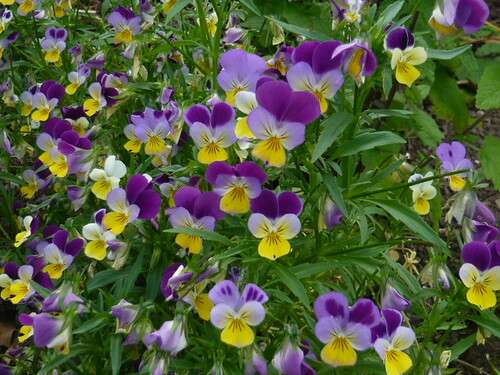 Violas are more than just small pansies in fact Pansies are just over blown Violas. 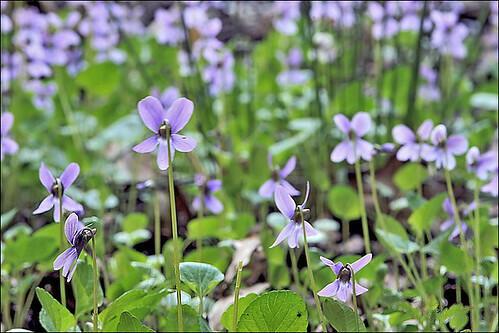 They are both in the family that also includes many species of Violets, Violas and Violettas. Many varieties and colours to select from without being overwhelmed by choice. Masses of small flowers from spring / summer that virtually cover the plant. Sweet scent on many varieties particularly the blue and purples. Perennial habit on most varieties but annual varieties also set viable seed. Viola Tiger Eye with deep yellow petals and black veins radiating from the centre. 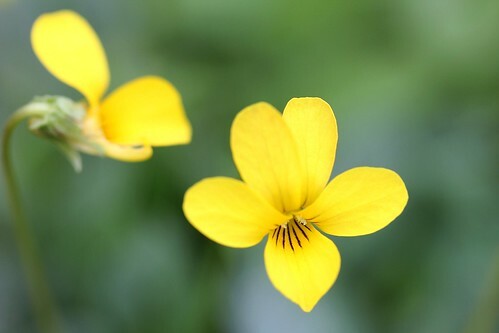 Viola Scentsation lives up to it’s name with bright yellow scented flowers. 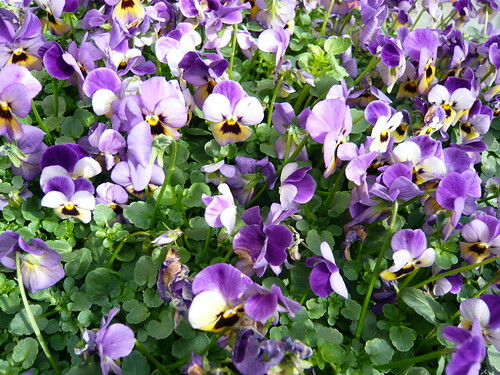 Viola hybrida Rose Shades is bushy, compact and free flowering in various rose shades. 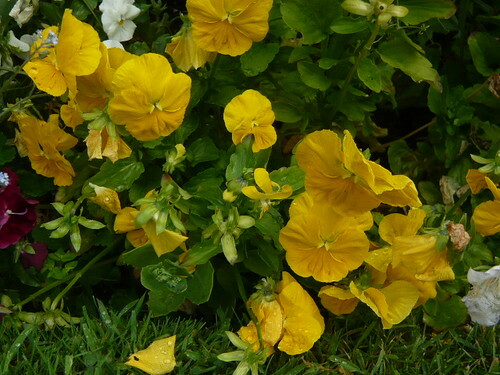 Each bloom has an attractive yellow eye and darker whiskers, plus the bonus of a sweet fragrance. 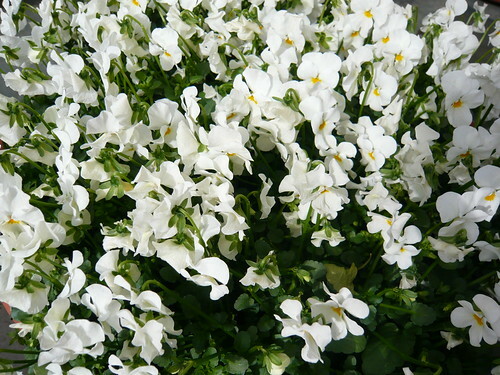 Viola Meteor is a compact form suitable for hanging baskets and containers. 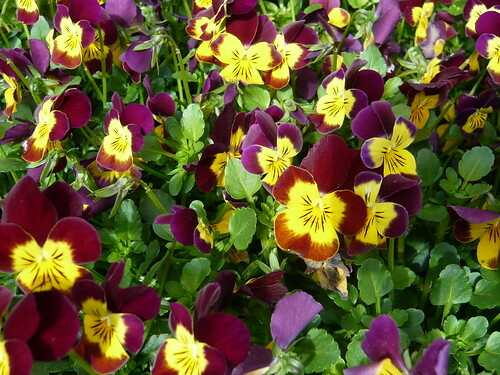 Viola Friolina will trail for up to 3 feet and is available in yellow, blue, orange, white or bi-colours. Viola x williamsiana Singing the Blues is an annual in several shades of blue. Viola Amber Kiss looks great in the catalogue but I have yet to try grow this semi double golden Viola. Viola x wittrockiana Jolly Joker with purple outer petals and orange inner petals has become a firm favourite. Viola x wittrockiana Water Colours Mixed F1 is another popular variety in pastel shades. 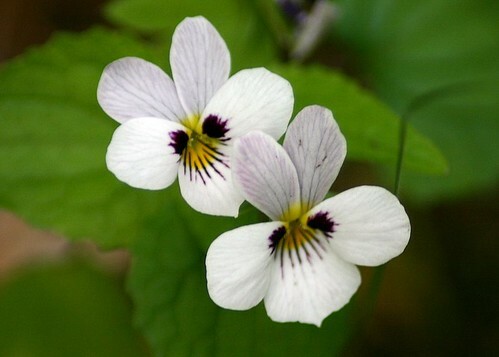 Viola sororia ‘Albiflora’ is hard to track down but is a small white flowering species with purple whiskered petals. Many of these seed and plant varieties are available from Thompson & Morgan Other suppliers include Gardening Direct or your local nursery. Germination is not easy and some experience is useful. Sow December to March or July to September on the surface of lightly firmed, moist seed compost in pots or trays. Exclude light by covering with paper for 2 weeks. Germinate around 65-70 °F too high a temperature prevents germination . Overwinter late sowings in a coldframe then plant out the following spring. Easy to grow on and care for. 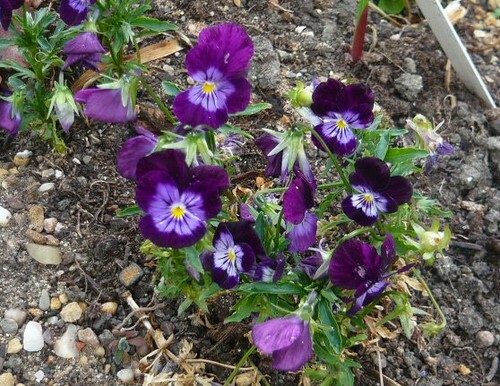 Pansies Violas and Violettas The Complete Guide from Amazon. Green fleshy, leaves are heart shaped with jagged edges. 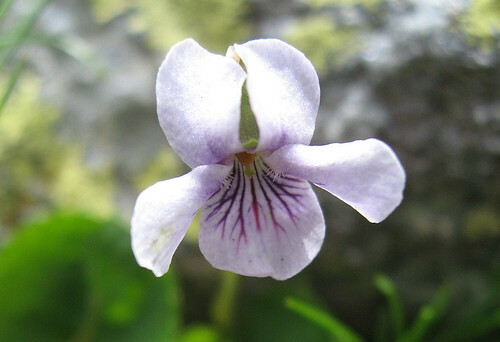 Wikipedia lists over 200 species of viola for further exploration. 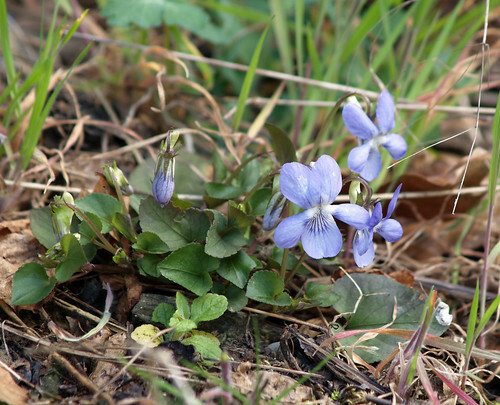 A Viola odorata national collection is maintained at groves Nurseries in Dorset where this cultivation guide can be found. A simple easy to grow range of colourful and often scented flowers. Take the Viola family to heart. These colourful photos show a range of violas that are smaller flowers than pansies and larger than violets but share the same characteristics.